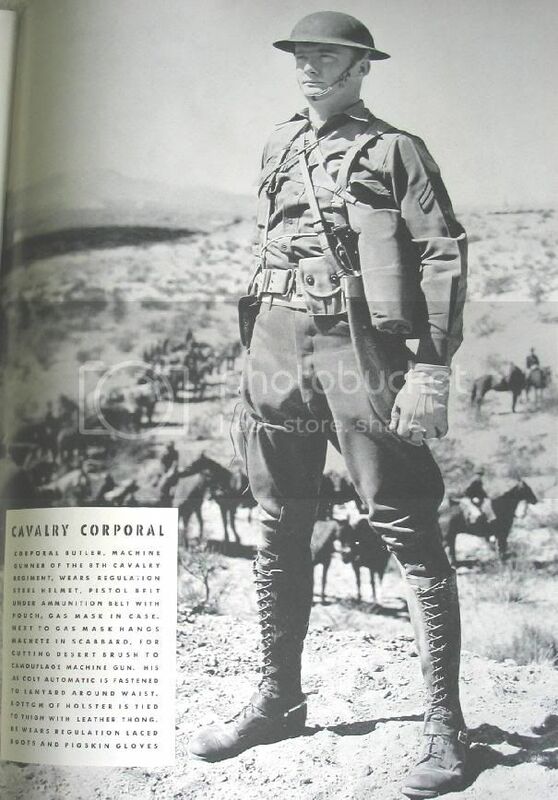 The bandoleers that were used would not be of the standard WW2 pattern. 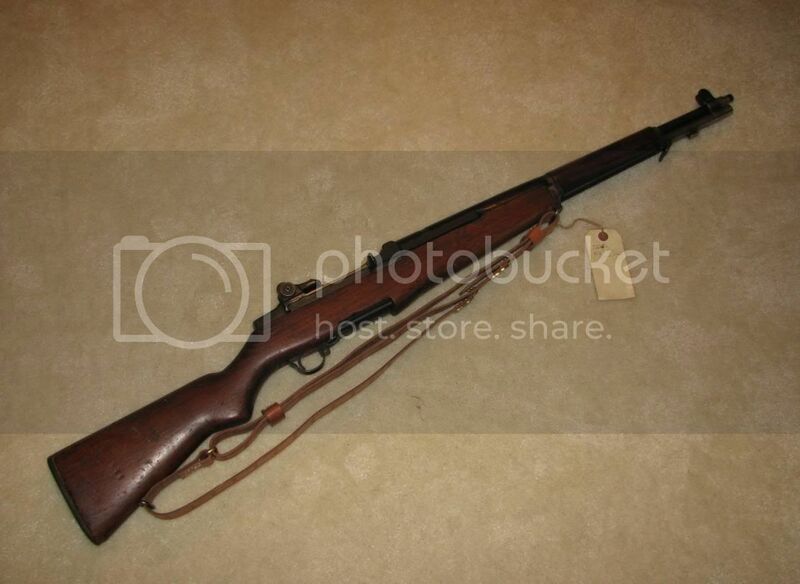 The bolt action rifle type would be of the variety used during the pre war years. They were of a heavier cloth and had a sewn cloth sling. I have seen them in a variety of shades of khaki and light brown. Here is a 1936 example. I own a 1930 dated one that is more brown. The EM in the center of the pic...what's that headgear? 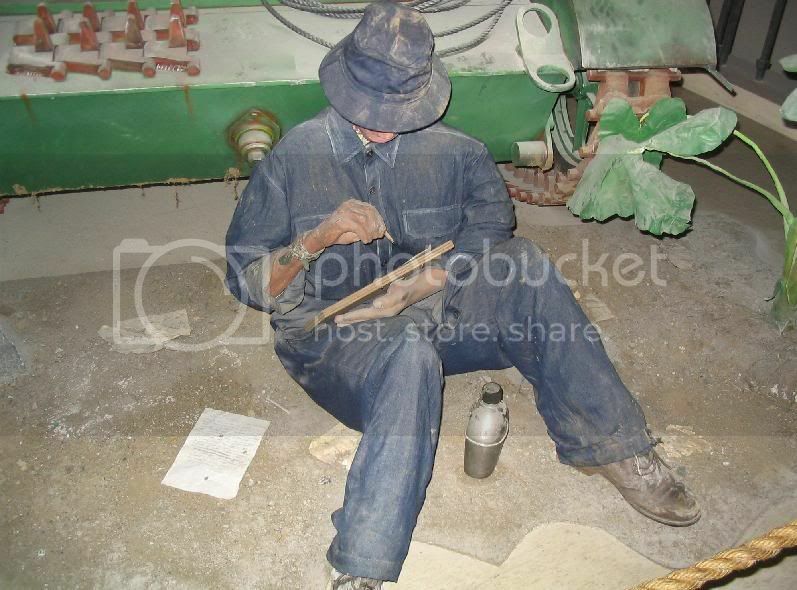 A boonie-type hat or a really battered guinit? Looks like a standard fatigue hat to me. 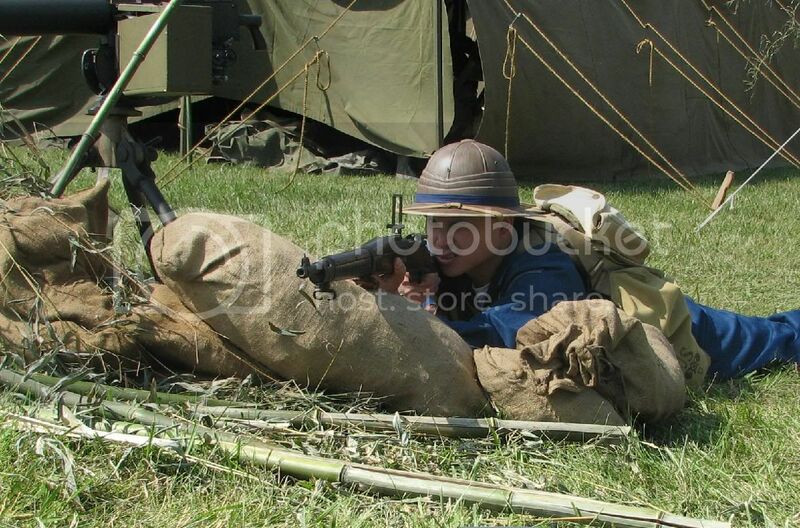 Just seconding what came before: The M1943 uniforms would be more suited to use for reenacting post-October 1944 and post-war Scouts pre-disbandment. Cotton khakis were still in prevalent use nonetheless. Field gear would be different too. In 1943, U.S. gear shifted from the khaki (OD #9) and pea-green (OD #3) material to the dark-green (OD #7) "late war" dark green material. This isn't an iron-clad thing though, just a general benchmark for "correctness" as far as gear goes during the late-war/immediate post-war period. 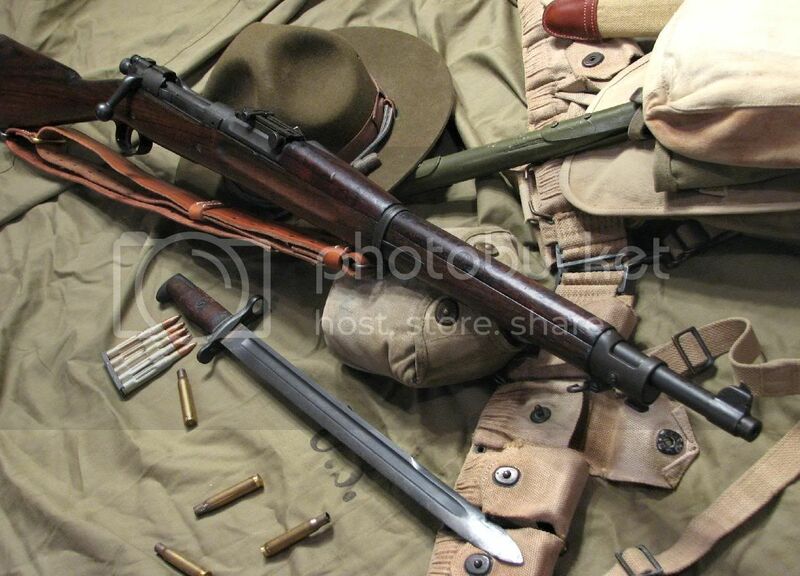 Is the M1917 Bolo Knife part of the PS gears and used during WWII ? Good luck finding one of those bolo bayonets though. It was on ebay sometime ago and the price was $2500. This is in relation to my PS and WWII impressions. Are the Garands used in WWII and Korea of the same model? Pardon my lack of experience and knowledge about this things. Well I don't know what you mean by "model" -- do you mean the brand eg. Springfield, Winchester, HR? 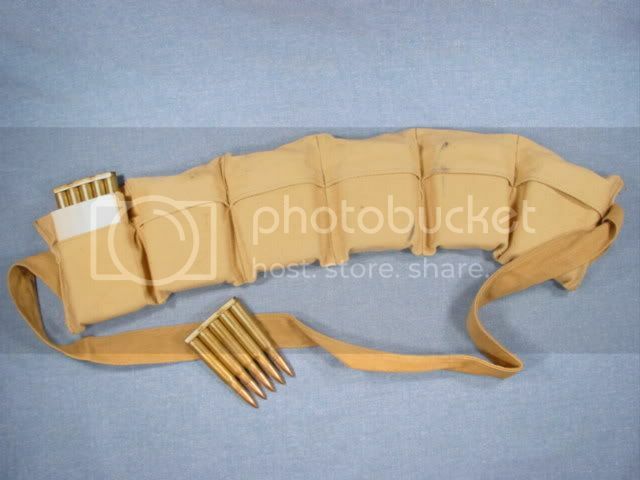 - The original issue garands were gas traps, there were some of those early in the war. Most of the garands in WW2 though were gas ports. 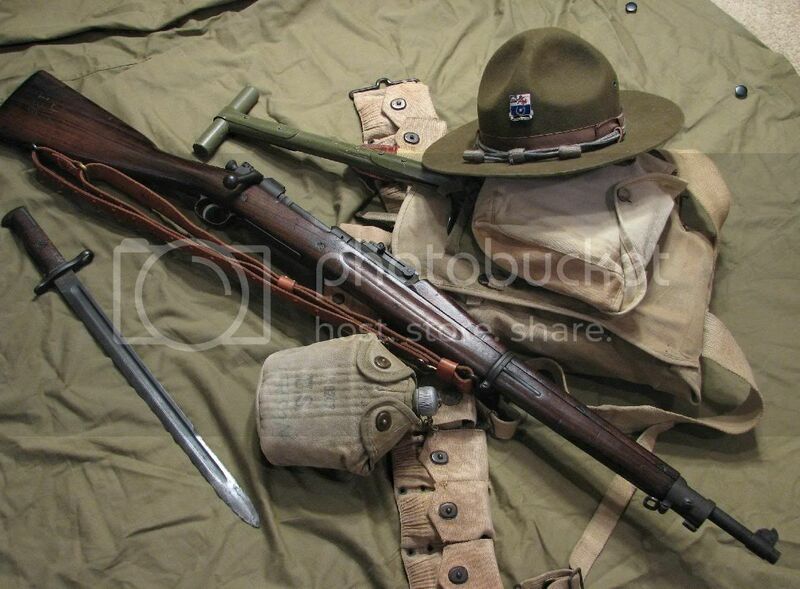 These are the usual ones and what the Marushin airsoft garand is modeled after. In Bataan, there were both. Seriously, if anyone has any questions about weaponry, especially small arms, used in the Philippines or elsewhere by U.S. forces through 1942, I'd be glad to help out. You can contact me through this forum, or at slatercottage[at]gotsky.com (substitute @ for [at], of course). Thanks Veevee. I'm afraid I'm being sucked into this deeper and deeper like a blackhole. I have so many questions to ask but i don't want to impose on you all at the same time. I will reserve it until my 26th cavalry impression has started to take shape. Hi rick. Rest assured I will be consulting you guys very soon. Hi, what model type of Binocular will fit the PS impression, Thanks. I think it's called a Type E 6x30 binoculars with a leather case that has an embedded compass on its lid. What is the proper way of wearing the M4A1 gas mask bag? There is an extra strap that seems to go around the waist but seemed too short or maybe my bag is incomplete or missing a piece. Pls advice. Thanks. Oh I see. I think the hook on the strap that goes around the waist is missing. That is why I couldn't figure out how to connect it. I'll just make one. Thanks VeeVee.